Most households use dining tables every day. As such, you’ll want to make sure to choose one that is perfect for your needs. It should fit the room’s design without sacrificing comfort, be sturdy enough for regular use, and be within your budget. Below, the professionals at Ashley HomeStore in Lubbock, TX, lists a few factors you should think about when buying dining tables. A good dining table must be compatible with the shape of the room it’s in. Rectangular tables are suitable for larger rooms with more space and are generally better for serving bigger groups of people. Round tables have a more compact shape and are easier to fit into spaces that aren’t ideal for linear tables. Square tables are great for narrow rooms, as they help divide the sections of the space. Choosing a table that matches the other items in the room also makes the space more harmonious and boosts its aesthetics. For instance, if you have a rectangular chandelier in your dining room, placing a table with a rectangular shape just below it will work well. 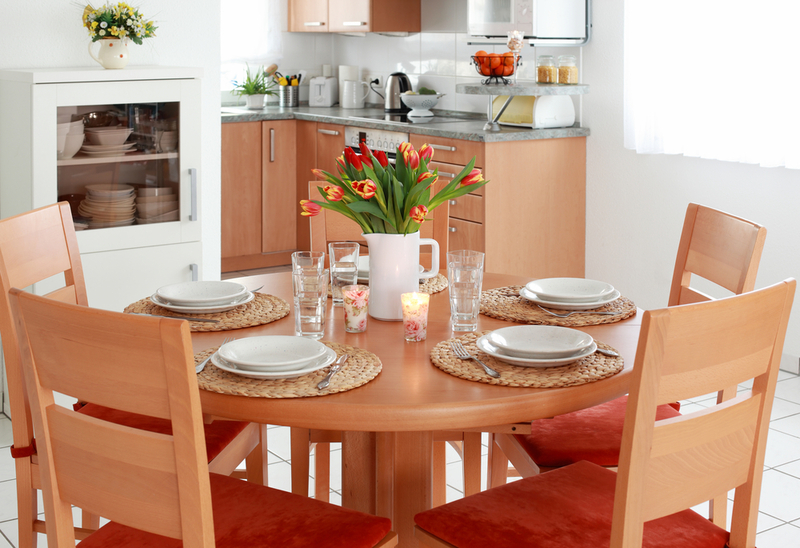 The size of the dining table can affect the functionality of the room. You need to determine the exact dimensions of the space to create an ergonomic area that allows people to sit comfortably while still leaving enough space for everyone to move around. Furthermore, the “visual weight” of the table, or how much it attracts the eye, must agree with the room. Choosing the right material is not as simple as it seems. You should strike a balance between price, durability, and personal preference. Wood is durable, although it expands when exposed to heat and may show signs of warping in a room that is too humid. On the other hand, there are tables made with metal bases and glass tops. While these are unaffected by fluctuating room temperatures, the tabletops are a magnet for fingerprints and may require more cleaning than one made of wood. Your dining table is more than just another piece of furniture. It is where you’ll be sharing pleasant meals with your friends and family. If you’re looking to buy dining tables, beddings, mattresses, home décor, or living room furniture, visit Ashley HomeStore. They offer special financing for each customer and a "Purple Cow Protection" extended care service for all furniture. To learn more, visit their website or call them at (806) 687-3000.